Yeah you read right. Duck fat caramels. Legit meat candy. I was completely enamoured by the Olive & Sinclair duck fat caramels which I spotted in my Garden & Gun magazine, yet grossly disadvantaged as they don’t ship to Australia [note: pre-moving to Texas issues!]. So I took matters into my own hands and made my own version. It’s duck hunting season right now in the US, which means this is a great recipe in terms of using the entire animal right? Yeah, any excuse will do. Rendering duck fat is pretty easy, you just pop the fatty parts into a saucepan with a little water, and heat on low-medium for about half an hour, til the water evaporates and the fat melts (if you want to see a little more about how to render fat, you can check out the process here). Then strain into a jar and voila! It’ll last about a year, too. Of course, if you’re not a hunter or prefer not to DIY, you can get ready to use duck fat from your butcher or speciality grocery store. Pro tip: if you have any spare, it’s pretty much the greatest thing to roast potatoes in. 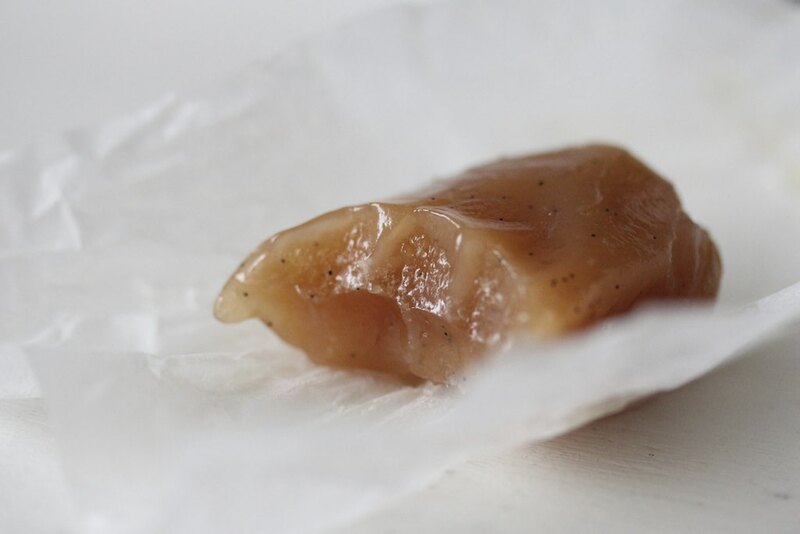 Because of the high fat content, these caramels do have a slicker touch than butter caramels and soften quickly at room temp, but it’s totally worth it for the silky texture, I reckon. If you can, try to get fleur de sel for the salt, it’s a large grained French salt traditionally used in salted caramels and has a much mellower and rounded burst of flavor than cooking salt, but regular salt will of course do the job. You also must have a candy thermometer for this recipe. FYI – these are even better than they look. Line a loaf pan or square/rectangular cake tin with oiled greaseproof paper. Gently melt duck fat & cream on the stove or microwave, set aside. Put corn syrup, sugar and enough water to just moisten the sugar in a deep saucepan (it bubbles when you add the fat). Boil without stirring until the mix reaches 320f. Take sugar mixture off heat, slowly pour in melted cream/fat mix and stir. Return to heat and cook until it hits 250f. 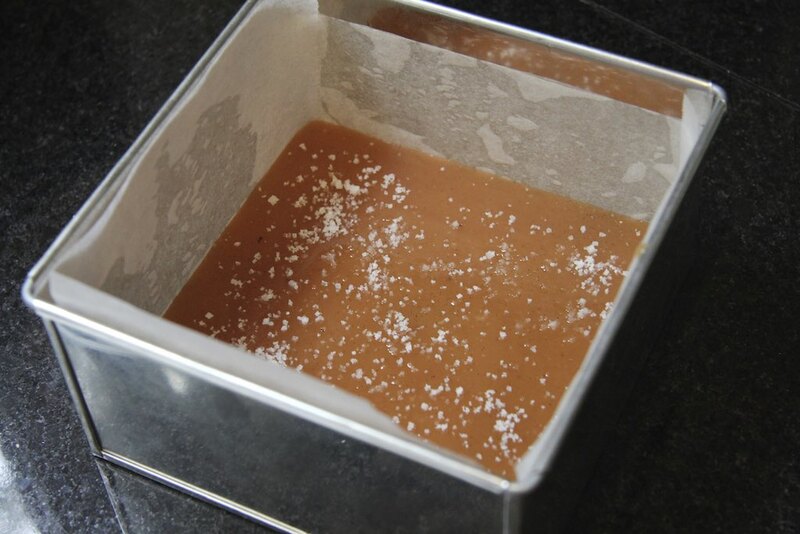 If you prefer your caramels firmer, go to 260f. 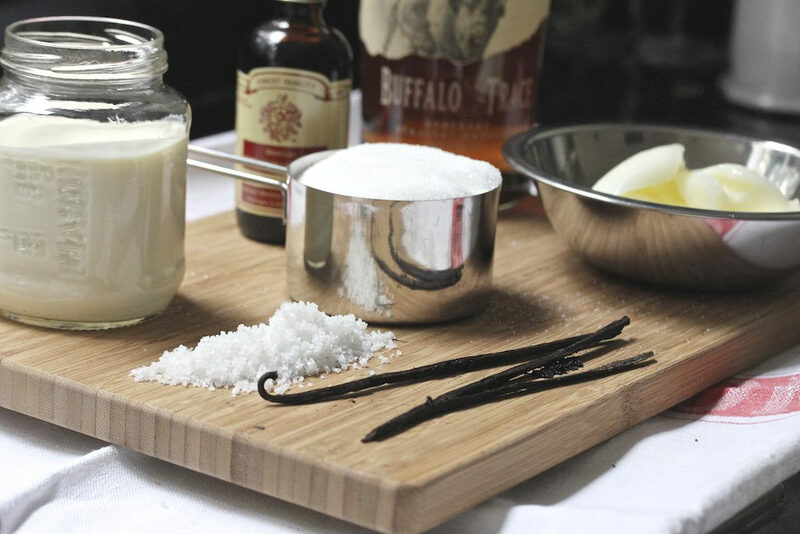 When it comes to temp, remove from heat, quickly stir in bourbon, vanilla and half the salt, then pour into waiting pan. After 10-20 mins, sprinkle remaining salt over the top to garnish. Once cool (at least two hours), cut into squares and wrap in pieces of greaseproof paper. You can run a knife under hot water or spray with oil to help cut through the block. The caramels are quite soft from the duck fat. They can be stored in the fridge and will soften within 10 mins once removed.